Quantity and quality aren’t enemies. What do Isaac Asimov, Agatha Christie, Barbara Cartland, and Edward Stratemeyer have in common? They were some of the most prolific writers and creators ever. Asimov wrote over six hundred Sci-Fi and nonfiction titles. Christie wrote sixty-nine novels and nineteen plays. Stratemeyer wrote one hundred ninety books in the Hardy Boys and Nancy Drew series. These authors alone sold billions of books (not a typo). They penned millions of words, hundreds of novels, nonfiction works, short stories, plays, and did it without the aid of a computer. Prolific authors of the past are fascinating people. How they created so much content by hand or on typewriters. Barbara Cartland averaged a new book every forty days in her career. And she didn’t have the distractions of Netflix and Social. Not only did these prolific authors create volumes of work they also maintained high quality. A feat of its own. Is there something we can learn from these prolific and speed demon writers? “One advantage of being prolific is it reduces the importance of any one book. By the time one particular book is published, the prolific writer hasn’t much time to worry about how it will be received or how it will sell. By then he has already sold several others and is working on still others and it is these that concern him. This intensifies the peace and calm of his life” (205). 1. No one book/article is that important. When you produce content and publish at a high clip, no one book becomes precious. What I call the Gollum Factor. Instead of petting, caressing, and thinking your latest project is the best thing since sliced bread, move on. Create something new. The prolific writers of the past and present don’t have time to obsess over the one thing, because they’ve already started the next thing. 2. No time to dwell on sales, reviews, and reception. Yes, please. What derails the sensitive artist and creator among us? Bad reviews, sales, and people ignoring their work. What if instead of crying about an anonymous reviewer saying your book or article was sucky… you wrote the next thing? What if you produced enough work and content that when someone left a harsh critique you said: I don’t remember what that was about… can you refresh my memory? Prolific writers and creators have a short memory. They’re freed from the chains of watching sales dashboards, clicks, views, and reads. 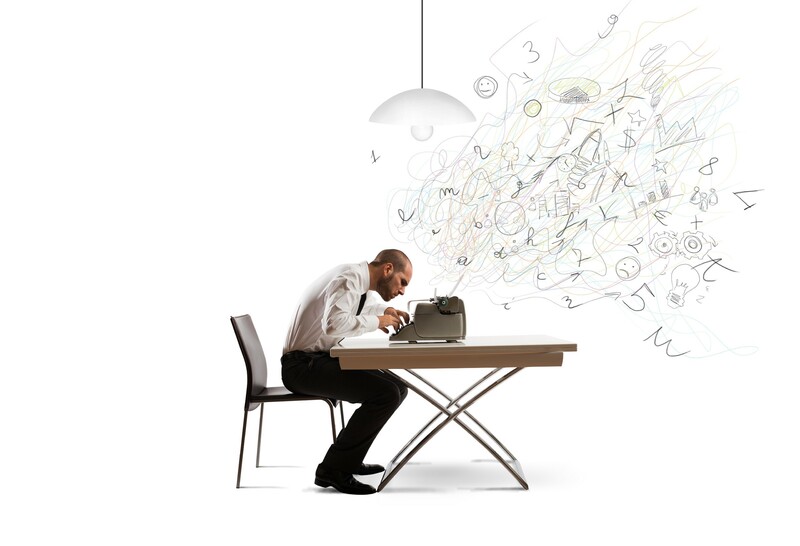 The prolific writer is already working on the next project and not caught in the vortex of sales data. 3. Intensifies peace and calm. The prolific writer and creator builds peace and calm into their lives. How? All the aforementioned things above. No added pressure on one book or article. A healthy relationship with reviews, sales, and receptivity of our audience. 4. The whole is better than the parts. One book or article will never break you. You have a massive back list and entry points for more readers to find you when working at a prolific pace. The prolific writer never banks their livelihood on one project. A steady trickle of money from dozens of books, on multiple platforms, and in multiple sales channel, will always win over the one hit wonder. Which leads to one more advantage of being prolific which I love. 5. It’s easier to experiment. Freedom to try new things and push boundaries is offered by being prolific. Maybe the prolific writers of old are onto something. I imagine they lived a peaceful, calm, and creatively satisfying lives. How could we crank up the production and enjoy the advantages of being prolific creators?